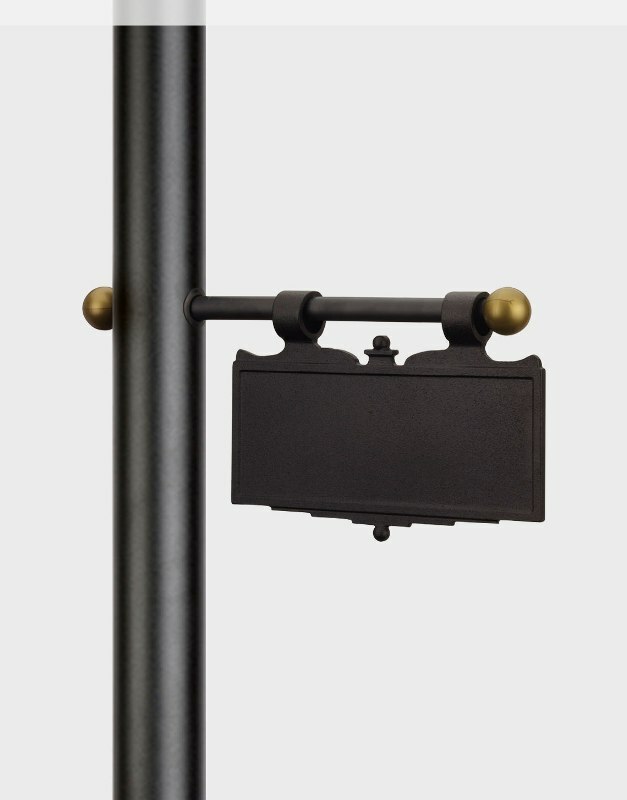 Plaque hangs from the ladder rest of your gas light post to easily display your name, house number or street address. Plaque comes as shown; lettering must be purchased elsewhere. Inside dimension (space for numbers): 10 3/8”W x 3 7/8”H. Choice of black or white; other colors available, contact us for details.